Larisa started at Covell PC as a legal intern in January 2014, bringing her sharp mind, attention to detail and dry wit to work daily. She graduated in the top 5% of her class from Texas A&M (Ft Worth) and was executive editor of the Law Review. Larisa became a full-fledged Texas lawyer November 6, 2014, after which she was promoted to associate attorney. In her first year as an attorney, Larisa has already distinguished herself by completing more than double the required professional training hours. Thus, she has qualified as a member of the Texas Bar College, an elite group of Texas attorneys. 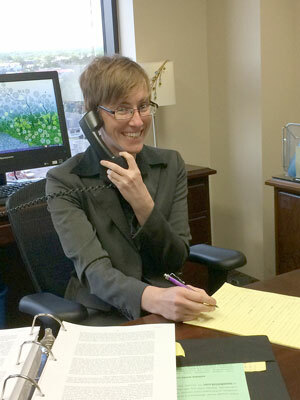 We are lucky to have her at Covell PC and our clients are enriched by her determined mastery of the law.